He looks so different now. Edward lived on the streets for so long that it really started taking a toll on him. He contracted a terrible case of mange, and the painful skin disease just kept getting worse and worse. When it got to the point where he could barely move from all the pain, he curled up on the side of the road, out of sight, completely defeated and ready to give up. … he slowly lifted his head and saw that, somehow help had finally arrived. 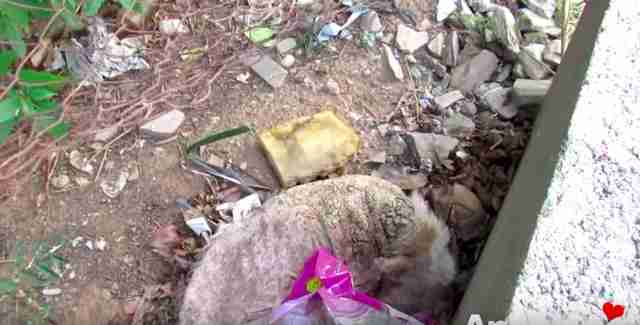 The rescuer offered the scared senior dog food and love, and after earning his trust for a little bit, attempted to move closer to him. 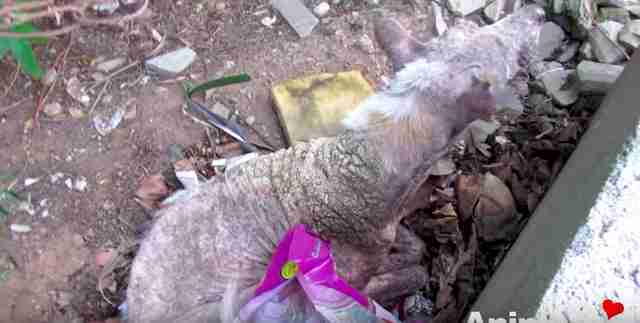 Unfortunately, Edward had been sick and in pain for so long that he was terrified of being picked up, and it took a little wrangling before the rescuer was finally able to toss a blanket over him and scoop him up to take him to get the help he so clearly needed. 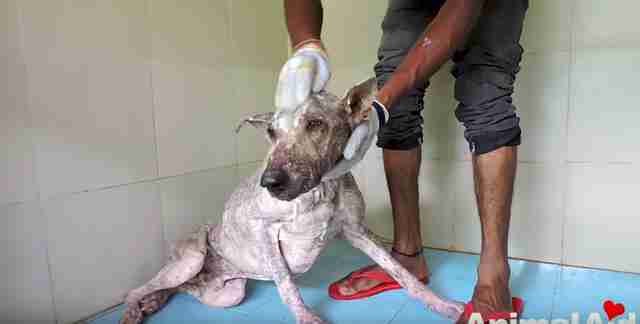 At the Animal Aid Unlimited hospital, rescuers began to treat Edward for his severe case of mange, gently rubbing him down with lotion in hopes of easing the pain. He was so incredibly skinny and had painful sores covering his entire body. He stood quietly while his rescuers tended to his wounds, so grateful that someone was finally willing to help him. … and suddenly a completely different dog. Edward looked so different after weeks and weeks of treatment, and his personality completely changed as well. 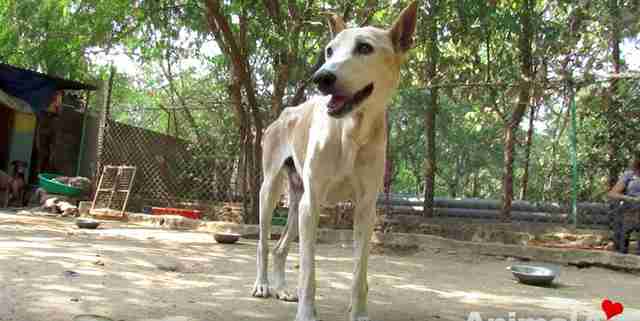 He was no longer that sad, defeated dog whom rescuers had found on the side of the road, and instead was sweet and cuddly, so eager to follow his new friends around and get lots of hugs and love. If Edward hadn’t been found that day, his fate would have been very different. Instead, he gets to live out the rest of his days as a happy, healthy dog, and he’s clearly so thankful to his rescuers for giving him that chance. If you’d like to help other animals like Edward, you can donate to Animal Aid Unlimited.